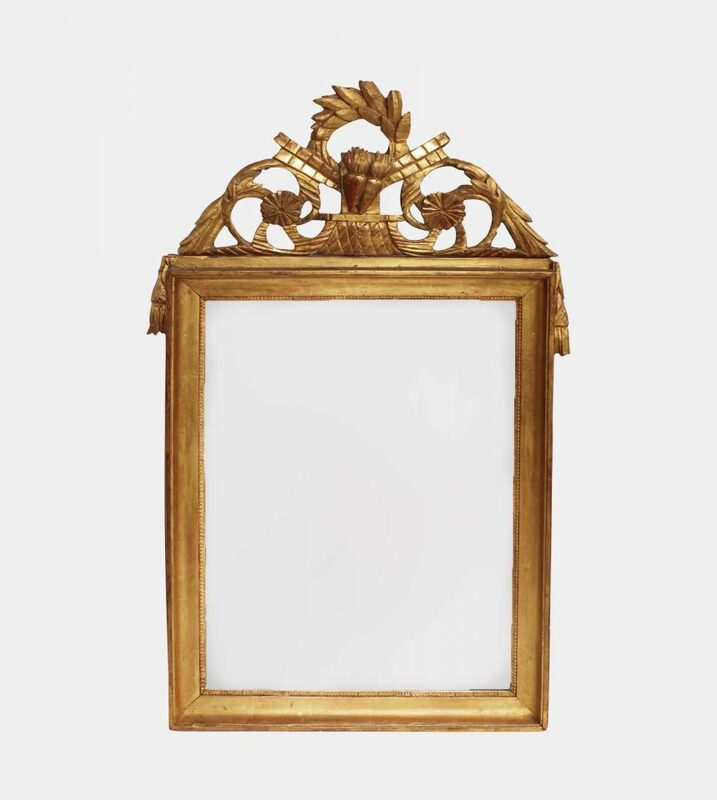 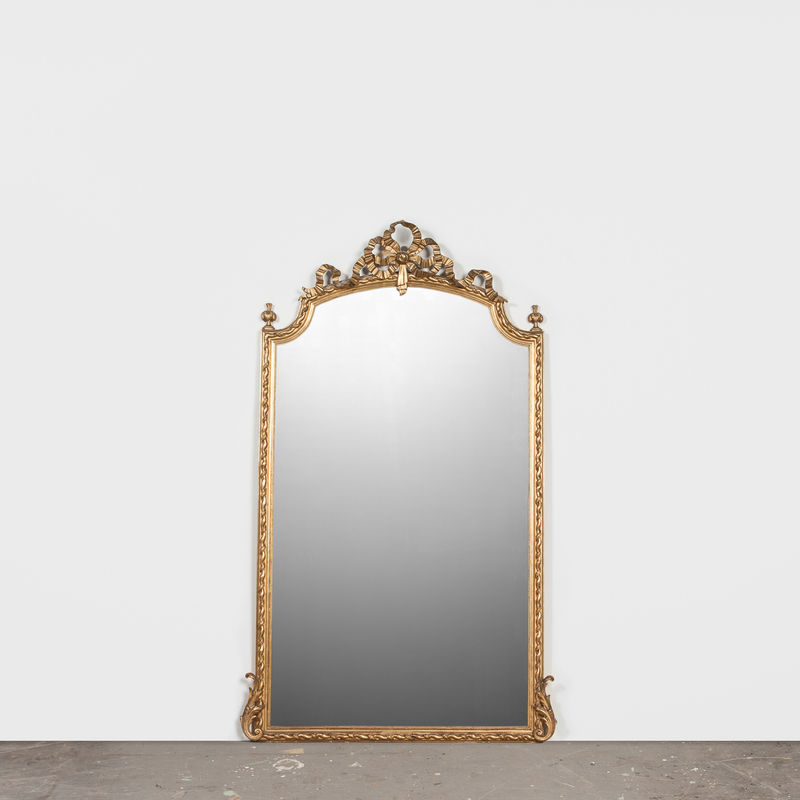 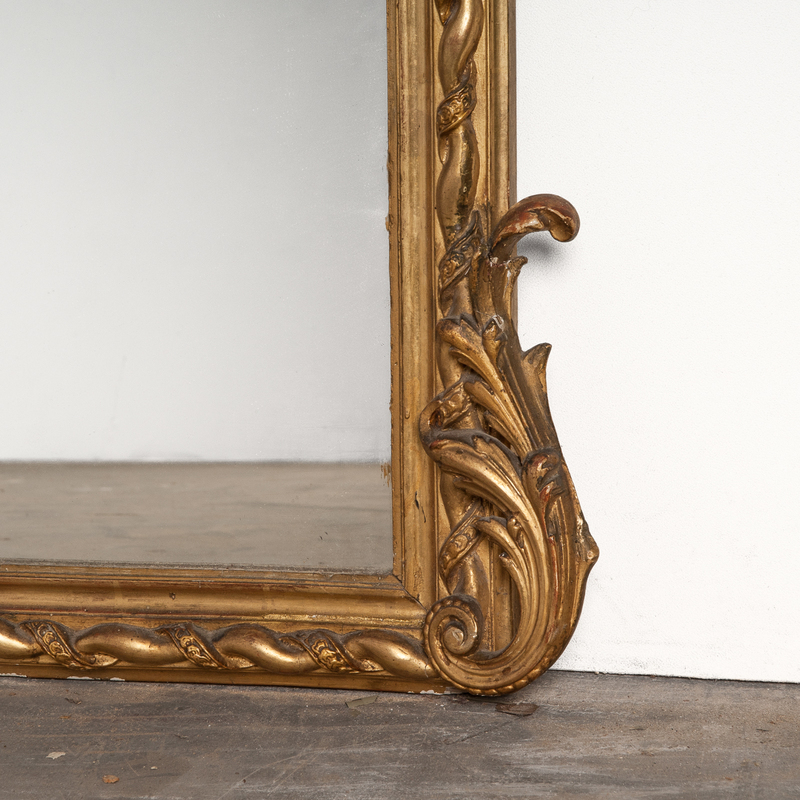 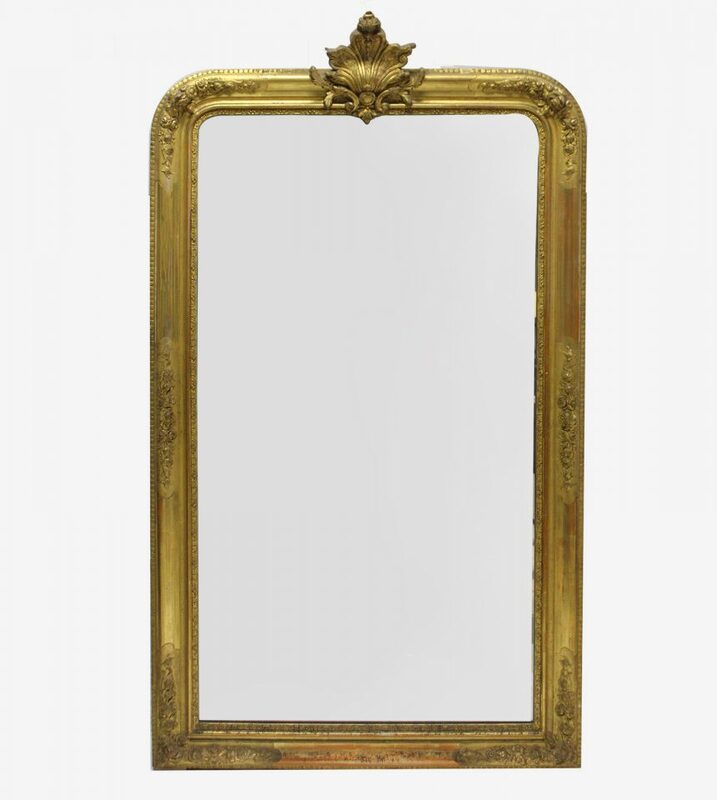 19th Century French Louis XVI style giltwood mirror features its original mercury glass. 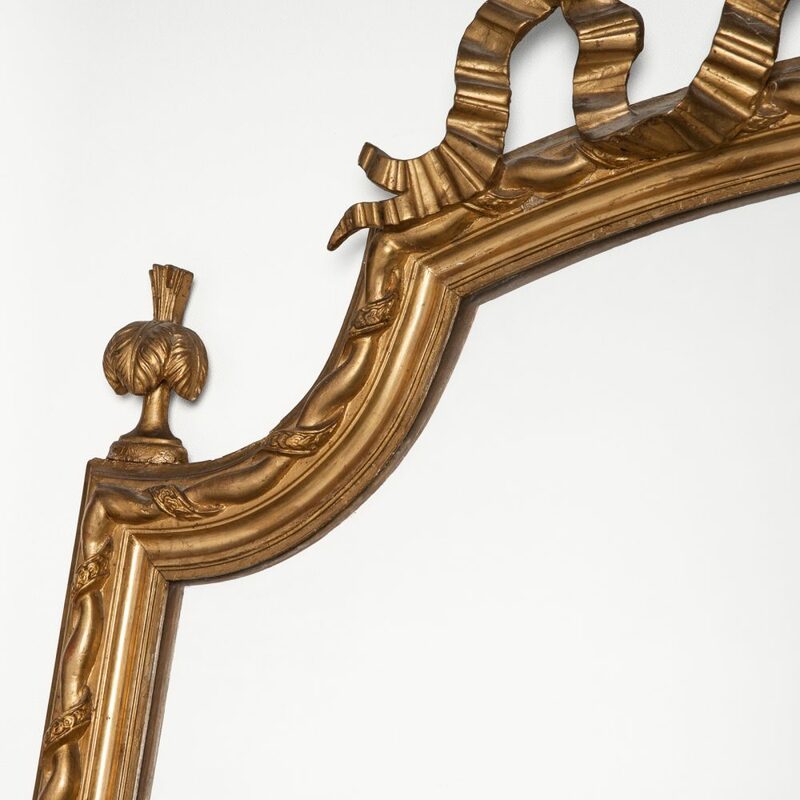 The frame around the mirror displays classic Louis XVI motifs of twisted ribbons and ropes. 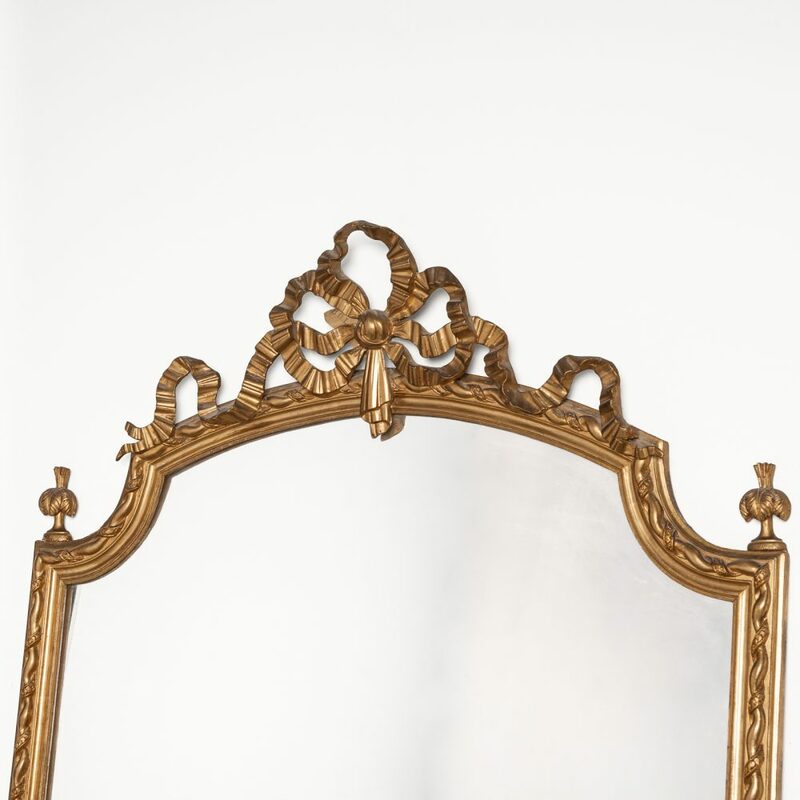 An elegantly knotted ribbon bow crowns the top of the mirror. 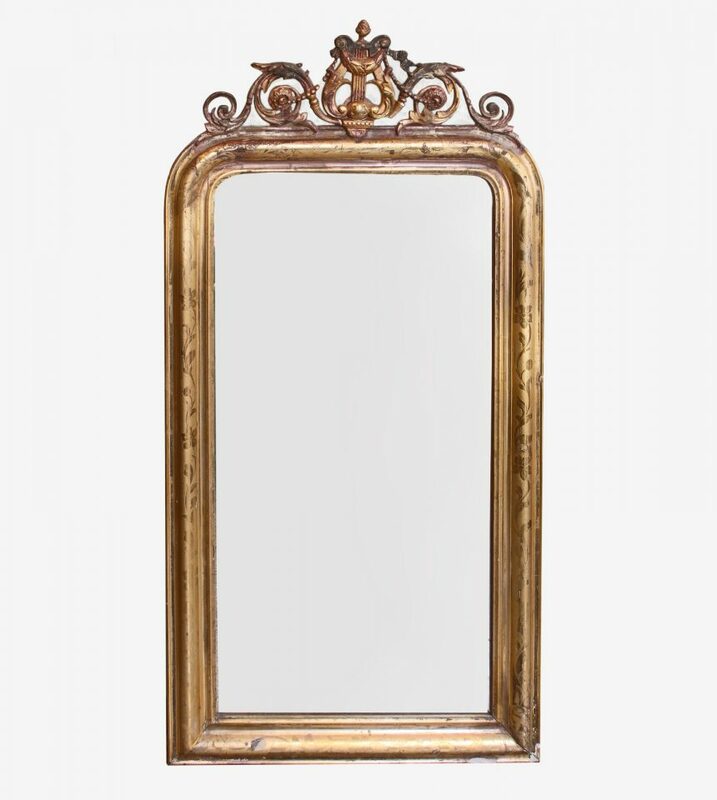 This is a magnificent large statement piece and genuine 19th century French chic furnishing, sure to lend its beauty to any interior. 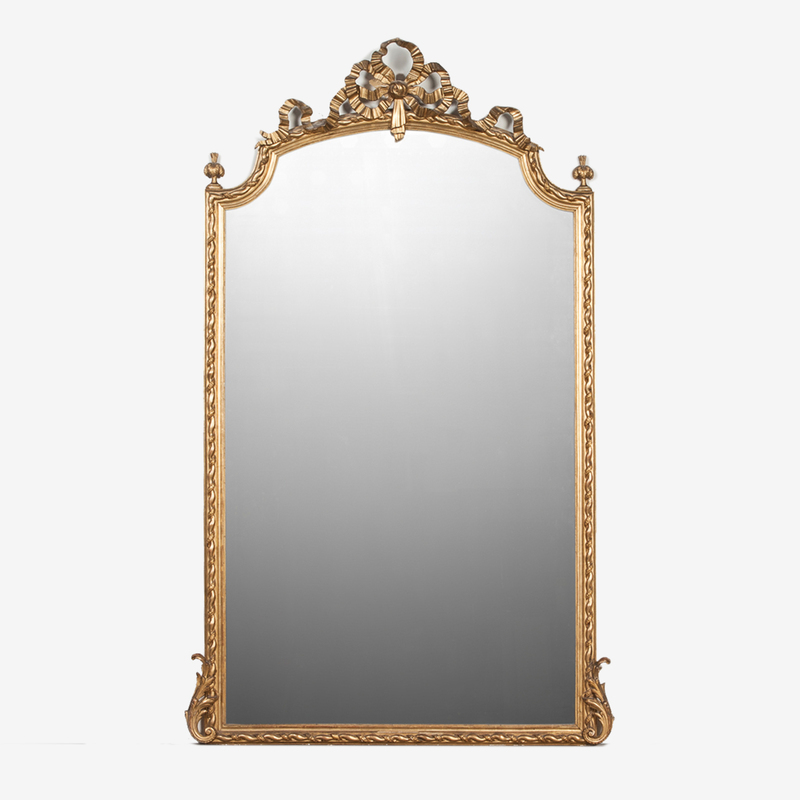 H 200 cm. 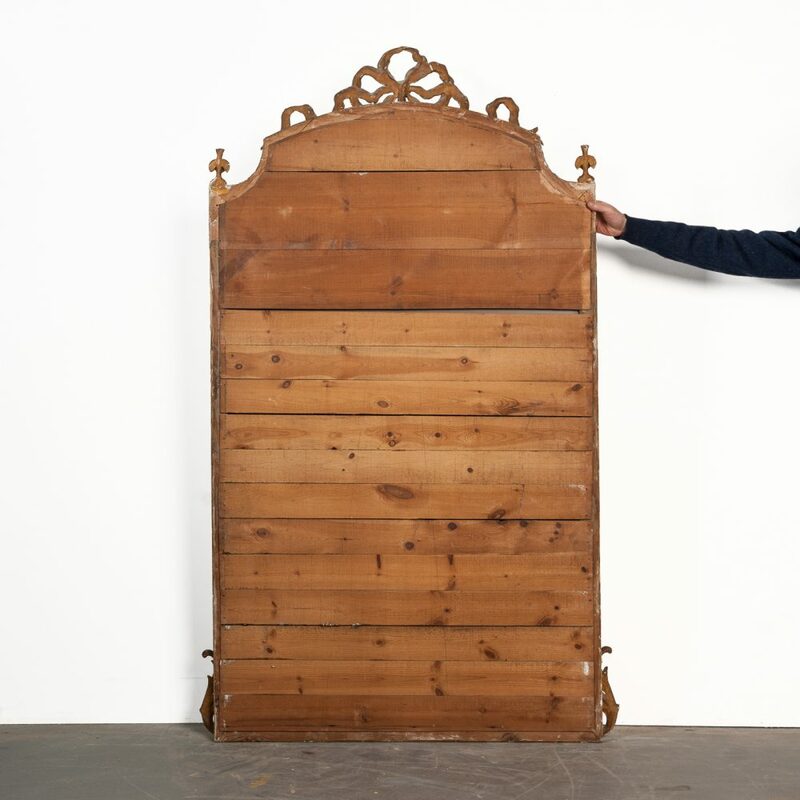 W 110 cm.